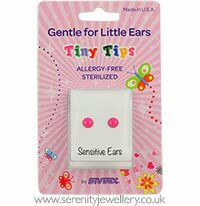 Studex Tiny Tips hypoallergenic surgical steel 5mm neon stud earrings with matching butterfly backs. Purchased these for my daughter who wanted some cool earrings to wear to a birthday party. We always shop at Serenity! 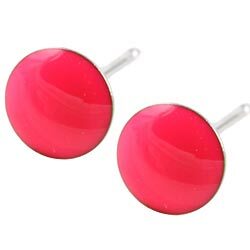 The colour is bright, my daughter really liked these earrings. Delivery was super fast! Had to replace the earrings as i ended up loosing one (my own fault) so had no problems going back to the same product straight away. Super fast delivery time will be back for more products in the future.